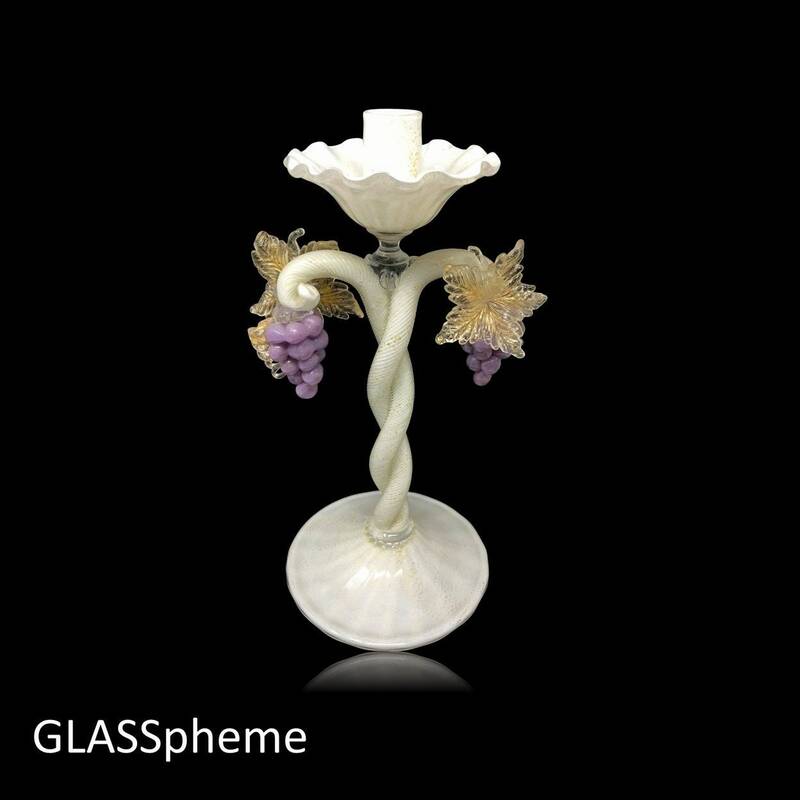 This exquisite antique Murano glass candlestick holder, most often attributed to SALVIATI & Co., is in fact (or so I believe), by Barovier Toso, who produced for Salviati's RETAIL-ONLY operation in the 1920s. (My source is a photo showing the same candlestick design with a matching piece sporting the Barovier label. I don't own the rights to the photo but will share it on request.) 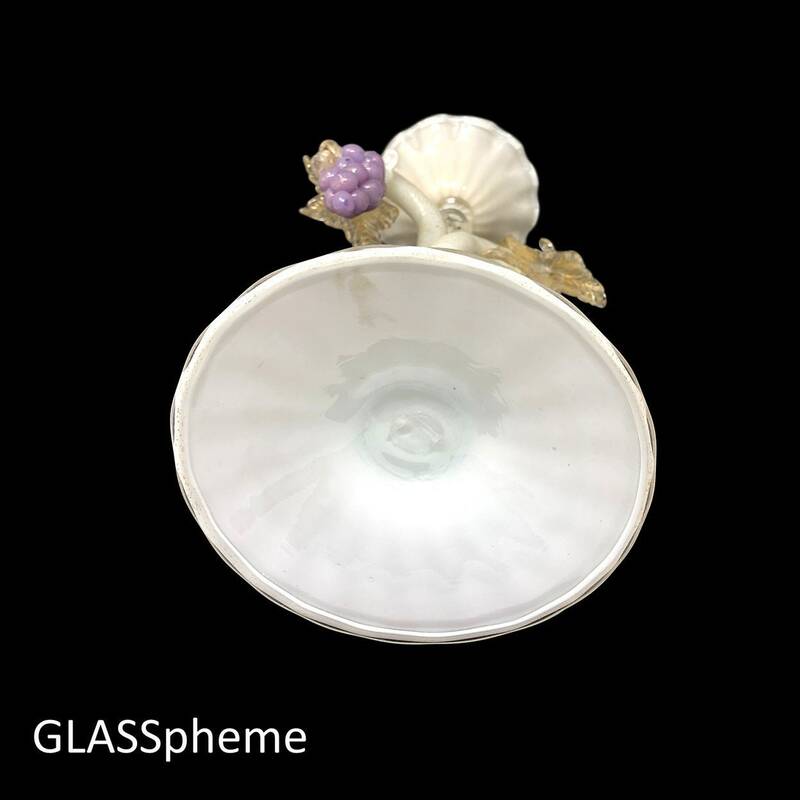 This beauty is done in a creamy white lattimo encased in a super-fine layer of gold-aventurine-infused clear glass to create a golden burnish. 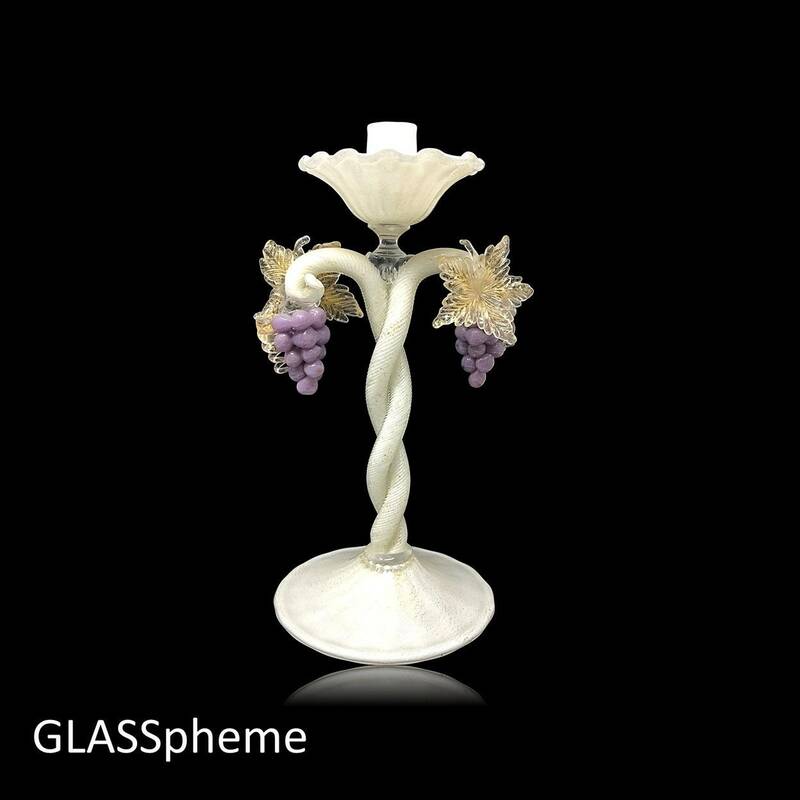 Note the elaborately detailed glass flowers and grapes that adorn this beauty--incredibly, they've weathered nearly 100 years without incident. While this heavily decorated piece is done in the "old Venetian' style of the latter 1800s, the "incamiciato" technique (layering thin sheets of aventurine in clear glass over lattimo) was more widely used in the 1920s and 1930s.